Jul 3, 1863 Left Kingston, NC for Richmond Va. arrived there Jul 6, 1863 distance 190 miles. Jul 11, 63 Left Richmond for Wilmington NC. arrived there Jul 12, 63 distance 247 miles. Went into Camps near Top Sail Sound 12 miles east of Wilmington Jul 13, 63. Aug 8th, 63 Left Wilmington NC> for Charleston, SC., arrived at Charleston Aug 9, 63. Went into Camps on James Island same day whole distance traveled by Rail Road 647 miles. Went on duty on Morris Island Aug 25th 63, remained there 7 days, all the time under fire of the enemy, Company loss 2 men severly and 5 slightly wounded 2 deceased. Left Camp Milton Fl Apr 19th 64 marched in four and a half days to Tebeauville, Ga. distance 80 miles. Came by Rail Road to Savannah 96 miles and thence to Charleston SC. distance 104 miles. Arrived at Charleston Arp 25, 64 and on Apr 28, 64 went into camps on James Island. whole distance traveled 280 miles. Born. 1830 Walton County, Ga.
Pension filed in Walker Co. Ga. Captured at Lafayette, Ga. 5-6-65, sent to Nashville, Tenn., then to Louisville, Ky. 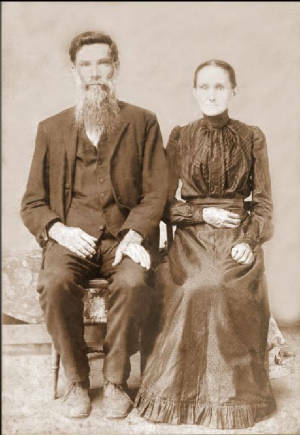 Wife; Nancy Mills, married 2-19-1874 Chattooga Co. Ga.
Pension files in Walker Co. Ga.
Died; 1-10-1929 Walker Co. Ga. Killed 7-2-62 at Battle of Malvern Hill, Va.
29 yrs, 6’2”, dark complexion, black eyes, dark hair, Farmer, born in Gwinnett Co. Ga. Wounded; Gunshot in leg at Battle of Olustee, Fl. Tried to get back to his old command got no further then Macon Ga. and realized he and the men he was with were cut off by Sherman's army so they joined up with the 3rd Confederate Cavalry Co. E, and was with them at time of surrender, surrendered at Kingston, Ga. He is buried in Myrtle Grove Cemetery, Floyd Co, GA. 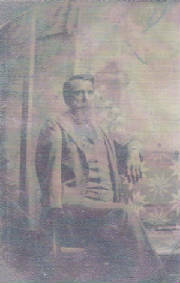 He died 21 Nov 1905 He was a Great uncle, as his brother, Green William Burgess is another of my Great grandfathers. This info is courtesy of Nola Eze, Mattox family decendent . Wife: Amanda E Day, married 1-27-67 Walker Co. Ga.
Died 6-6-62 Typhoid Fever at Chimborazo Hosp #5, in Richmond, Va. Captures Weldon Rail Road near Petersburg. Va. 8-19-64, arrived at City Point, Va. 8-24-64, Released from Point Lookout Md. 5-13-65 after taking Oath Soldier writes a letter to Captors, stating that he does not wish to be exchanged after having had the opportunity but refused, says he was captured on the Weldon R.R. on 8-19-64 and wishes to be released from prison as soon as circumstances will admit. enlisted 8-14-61 Walker County, Ga. Bartow Invincibles, mustered 8-31-61 at Camp McDonald, Ga. Detailed as Hospital Stewart since 11-61 by Col. Hutchinson Commanding 23rd Ga. by recommendation of Surg. Thompson at Chimborazo Hosp in Richmond, Va. Asked to be Transferred to the 27th Ga. Inf. Roll Nov/Dec 63 absent = Detached by order of Secretary of War to attend Lectures in Richmond, Va. Roll Sep/Oct 63 Detached Duty in Hospital in Richmond, Va. Filed for pension in Chattooga Co. Ga.
enlisted 9-2-61 Walker County Ga.
Born in Green County, Tn., 22 yrs, 5’10”, dark complexion, black eyes, black hair, Farmer. Roll Dec 61 absent, sick since 11-11-61, last at walker County, Ga. Filed for pension in Whitfield Co. Ga.
Born in Blunt County Tn., sent to Chattanooga, Tn. Re- enlisted 9-12-62 at Calhoun, Ga.
James M Dempsey, writes letter to his son’s C.O. from Hosp in Raleigh, N.C. dated 6-11-62, to Mr. Taylor, to draw his dead sons Bounty to send home to the rest of his family to buy grain for his families farm to help them out. Died 2-4-62 of Typhoid Fever in Winter Quarters at Yorktown, Va.
Resigned as 1st Lt. 1-14-63 by reason of Gun Shot Wound Right wrist at Minnis Station, Va.
Died 10-6-62 of Typhoid Fever near Summit Point, Va.
enlisted 9-27-61 in Walker County, Ga.
On Recruiting Service Feb 63, Res: near Ringgold, Ga. Filed pensions in Floyd & Walker Co.'s Ga.
enlisted from Cherokee County, mustered 8-31-61 at Camp McDonald, Ga. Wife: M.A. filed for pension in Hot Springs, Ark. enlisted 3-26-64 camp Milton, Fl. Rolls 12-61 and Jan 62 sick since 12-10-61 in Chimborazo Hosp #5 in Richmond, Va.
enlisted 5-13-62 at Richmond, Va. Roll Jan/Feb 64 absent on Baggage guard on James Island, S.C.
Furloughed 40 days from Gen Hosp #20, Richmond, Va. Took Oath of Amnesty 1-23-65 at City Point, Va. dark hair, dark complexion, blue eyes, 6’, Res: Walker County, Ga. These records are under G.C. Gladden, 3 USA record cards, Deserted from the Enemy 1-21-65, Head Quarters of Army of the Potomac, Took Oath and sent to Chattanooga, Tn., then sent to Captain Porter at City Point, Va., 1-25-65, then sent to Washington D.C. Received 30 day furlough from Med Directors Office 10-28-62 Co. H 23rd Ga. Roll Sep/Oct 63 present = transferred to this Company from 4th Ga. Cav. enlisted 8-25-61 Cobb County Ga., enlisted 8-61 Walker Co. Ga.
Father: William J Green Sr. filed for bounty, Catoosa Co. Ga.
enlisted 5-16-62 near Richmond, Va. Killed 5-31-62 at Battle of Seven Pines, Va.
enlisted 8-61 Walker County, Bartow Invincibles = enlisted under force 8-31-61 at Walker County, Ga. Captured at Resaca, Ga. 5-9-64, by the 16th Army Corps, then forwarded to Ringgold, Ga. 5-12-64, Received at Louisville Military Prison 5-17-64 from Nashville, Tn., discharged 5-21-64 & sent to Camp Morton, transferred from Camp Morton for exchange 2-26-65 from Camp Morton, Ind. POW card states Captured at Walker County Ga.
Haselrig, Thomas R.A. 1st Lt.
enlisted 8-61 at Camp McDonald, Ga. as 1st Lt.
33, yrs, 6’, fair complexion, blue eyes, dark hair, Farmer, born in Tenn.
enlisted 8-31-61 in Walker County, Ga. Present at surrender near Goldsboro, NC. Wife: R.E., married Dec 1865 in Walker Co. Ga., She filed for pension in Walker Co. Ga.
enlisted 8-14-61 in Walker County, Ga. Transferred to 4th Ga. Cavalry Co. A 9-1-63? WJ Johnson's nephew, T W Warren, gave a deposition in the case of his widow's pension application, as to Johnson's demise he states as follows: I knew William Johnson during his lifetime, and know that he was killed near Wood Station, about march 1864, Johnson was at home on furlough at the time and was visiting my mother, who was a sister of his wife; and while visiting our house some Federal Soldiers came by, and Johnson with a man by the name of Whitley, who was with him started to get away and the Federal Soldiers killed them near our house, I saw them after they were killed. Note: I believe the man names Whitley is Philo Whitley from same company, the other two Whitley's in the roster s of the 23rd Georgia are found in the 1870 census for Walker Co. Ga. and Philo is not there. Appears on List, enlisted 8-14-61 in Walker County, Ga.
enlisted 8-31-61 at Walker County, Ga.
Died 12-8-61 in 2nd Ga. Hosp in Richmond, Va.
Died 9-14-62 in the Battle of Boonsboro, Md. Keown, William Jasper 2nd Lt.
born 1839, died 1908, buried Beulah Bapt. Ch. Cem, Marshall County, Ala.
enlisted 11-27-61 at Yorktown, Va. Admitted Gen Hosp #18, 5-2-62 Diarrhea & Bronchitis, transferred to Lynchburg, Va.
enlisted in Walker County, Ga.
enlisted 8-62 at Yorktown, Va.
Conscripted 8-11-62 Lafayette or Calhoun Ga. Captured near Fredericksburg, Va. 5-3-63, sent to Old Capitol Prison Washington D.C., then to Fort Delaware 5-7-63. Conscripted from Lafayette, Ga. 8-11-62, enlisted 7-1862 at Lafayette, Walker Co. Ga. Admitted to Lincoln Gen Hosp in Washington DC 8-15-64, as POW, sent from Gen Hosp in Alexandria Va. Wife: Mattie Rea, married 1-20-1873 Chattooga County Ga.
Died: 1905 Chattooga Co. Ga.
USA) Captured 10-22-64 in Lafayette, Ga. sent to Camp Douglas, Ill. from Louisville Ky. 10-31-64, arrived at Louisville Ky. Military Prison from Nashville Tn. during the 6 days ending 10-31-64, arrived at Camp Douglass, Ill. 11-2-64 & transferred to Point Lookout, Md. 3-14-65 for exchange at City Point, Va.
enlisted 5-16-62 in Richmond, Va.
enlisted in Walker County Ga. & mustered at Camp McDonald, Ga. Admitted 3-65 Gen Hosp #3, Greensboro, N.C. Wife: Gurty, married 10-10-1872 Chattooga Co. Ga.
Died: 2-16-1921 Floyd Co. Ga.
enlisted at Villanow, Ga, enlisted 8-61 in Walker County, Ga.
Died 1-10-62 at Yorktown, Va.
Born: 1847 Walker Co. Ga. Captured at Weldon Rail Road near Petersburg 8-19-64 and sent to Point Lookout Md. Thomas P Freeman testifies that he knew Pope from boyhood, being his 2nd cousin, he remembers that at the time that Johnson's army fell back in the fall of 63, as he saw him about home at that time. That he was then only a boy going about home where he pleased. He further swears that he was forman of the Grand Jury of Whitfield County in 1904 as he remembers when Pope's right to a pension was questioned and had said Pope brought before the grand jury to be questioned as to his war service and could not give an account of service at all in accord with his pension papers, trying to place his enlistment at an entirely different date from what he had sworn to, couldn't give names of officers of regiment nor of company, except the Captain, and from what applicant knew personally he was never in the army up to the fall of 1863 when he claimed a much earlier datein his application. "Don't know whether he actually served or not, witness statements are pretty strong, but he doesn't appear in the rosters anywhere, Confederate or US records"
Sent to Hospital In Charleston, S.C.
enlisted 1-30-64 at Decatur, Ga. 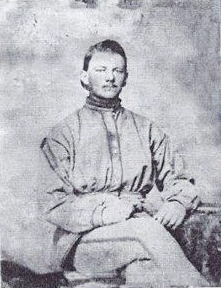 Captured at Weldon Rail Road Petersburg, Va. 8-19-64, arrived at City Point, Va. 8-24-64, exchanged 9-18-64, Res: Whitfield County Ga., fair complexion, dark hair, blue eyes, 5’7”, took Oath 5-21-65 as Confederate Deserter at Chattanooga, Tn. Born: 5-23-1843 Lumpkin Co. Ga. Shoulder, furloughed 60 days from 3-16-65 to Franklin County Ga., P.O. Carnesville, Ga. Filed for pension in Towns Co. Ga.
Died: 4-19-1926 Towns Co. Ga.
Smallpox Hosp 10-18-64 in Richmond, remarks: Patient came from Staunton, Va.
enlisted 5-7-62 at Farmville, Va. or Atlanta, Ga. Filed pension in Cobb Co. Ga. Captured 9-17-62 at the Battle Sharpsburg, Md. Born: 1836 Anderson Co. Ga. Filed pension in Walker Co. Ga. Wife: E.D., married 1-15-1870 Walker Co. Ga.
Died: 10-6-1894 Walker Co. Ga.
enlisted 8-31-61 in Walker County Ga. Filed pension in Floyd Co. Ga. Joined the U.S. service 10-12-64 as Private in Co. A 4th U.S. Vol. Killed 9-14-62 at the Battle of Boonsboro, Md. Confederate Deserter at Chattanooga, Tn. Amnesty 4-21-65 60th Ga. Inf. Wounded at Battery Wagner S.C. 8-28-63 by a piece of shell in the left arm, had to be amputated at a hospital in Charleston, S.C., then furloughed home. 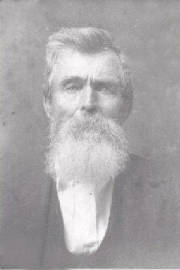 Filed pension in Fannin Co. Ga.
Francis Marion Young (b.12 Jan 1823, d. 14 Feb 1895) whose wife is Martha Green. Francis is buried in the Young family cemetery in West Armuchee.